Netsuke are miniature sculptures that first appeared in 17th-century Japan. 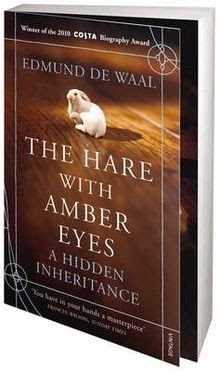 The 'hare with the amber eyes' was just one of a collection of 264 purchased by a member of the Ephrussi family in the 1870s. They are the objects which bind together this story of five generations of the family originally from the Odessa region who became a very wealthy European Jewish banking dynasty, centered there as well as in Paris and Vienna. The Ephrussis lost almost everything in 1938 when the Nazis 'took over' their Viennese property. Even after the war, the family failed to recover most of its extensive property, including priceless artwork, but an easily hidden collection of 264 Japanese netsuke miniature sculptures was miraculously saved, tucked away inside a mattress by Anna, a loyal maid at Palais Ephrussi in Vienna during the war years. The collection has been passed down through five generations of the Ephrussi family, providing a common thread for the story of its fortunes from 1871 to 2009. This is a fascinating story of Europe financially, politically and culturally during a very turbulent part of its history. For me, it was a 'couldn't put it down'. Why I get sucked into reading the autobiographies of these 'stars' is always a mystery to me. I am always waiting for something new or revealing. Never seems to happen. 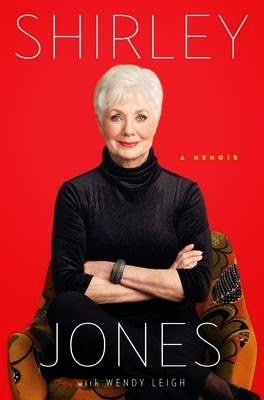 Shirley goes into considerable detail about her personal life, particularly her marriage to Jack Cassidy, David Cassidy's father. But in the end, despite tid bits about her stage and film acting career and some interesting anecdotes about fellow actors it's a fairly pedestrian tale. I believe a few of her 'stories' have been challenged by those involved and changes have been made to subsequent editions. I had previously read and reviewed two books of people making sea changes to Costa Rica. This one intrigued me as the reviews indicated it was more than just a tourist's view of the country but more warts and all. 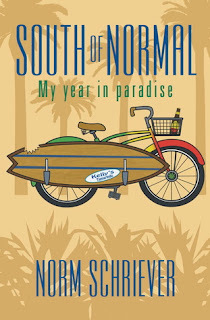 Bored with his comfortable existence in the USA, successful businessman Norm Schriever feels there is more to life than he is experiencing. 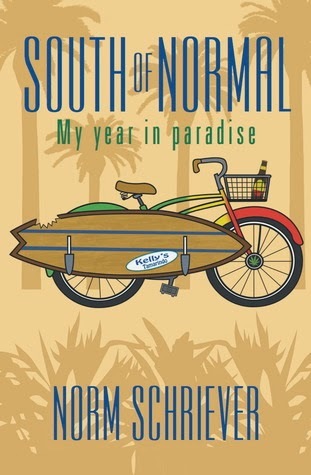 He quits his job, sells and donates all of his possessions, and moves down to Tamarindo, Costa Rica, with a laptop and a surfboard, and vows to become a writer. However he soon finds that paradise has its dark side and the perfect life in a little seaside town isn’t always as ideal as it seems. It’s a matter of adapting to the local customs and the language barrier, dodging lawless drug traffickers as well as corrupt police. It's a humorous tale although it did seem to concentrate a little too much on one of the author's friends who through entirely the fault of his own ended up in a Costa Rican gaol. Still, a good, easy and humorous read. To most people around the world the 1756 to 1763 conflict between Great Britain and France was known as the Seven Years War. 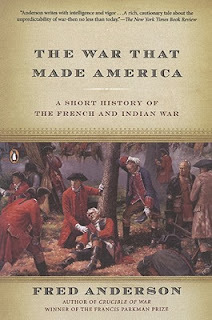 To Americans it is known as the French and Indian War. To Canadians it's the War of Conquest. This book is a fascinating story of how the colonists (including a young George Washington) helped the British defeat the French in North America and sow the seeds for the War of Independence not too many years later. It is also the story of the various native American forces who allied themselves with each side as a way of consolidating their inter tribal power and an attempt to protect themselves from the ever increasing impact of white settlement. This is a scaled down version of the author's more scholarly book Crucible of War and is a companion to the 2006 PBS documentary. This, in my opinion, does not detract from its impact and is a well researched book that covers a vital part of American history and is a must read for those interested in that period.